How are we in June already? The weather has been absolutely amazing in the Peak District and we have been spending quite a lot of time outdoors in the garden, walking and with Gee at the horses. Last month seemed to fly by and I have discovered some fabulous items and wanted to share them with you. We all know how important a good night's sleep is and as you probably all know I have had major back surgery in the past, which doesn't help. Well there is one word to describing the impact the new Perfection pillow has had on my sleep and that is 'amazing'. Designed to help reduce neck pain, improve spinal alignment, sleep apnea, snoring, insomnia and teeth grinding it has a unique shape to give outstanding support to the neck, head and shoulders. Founded by Neil O'Connor with over 30 years clinical experience in treating people with neck pain I think this pillow will offer a ray of hope to the nights of endless torture. You can find out more details as they currently have a Kickstarter campaign running and you can buy the pillows at an early bird price of £65. I love buying cards and love searching for the most appropriate one for the person who will be receiving it. Hallmark have an extensive range to cater for every occasion and the quality of the cards is outstanding. 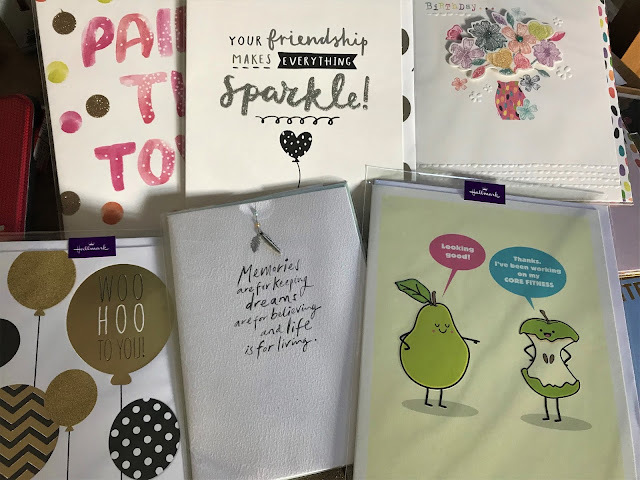 I recently had the pleasure of receiving some of their new range and my personal favourite is the apple and pear card. Did you know you could buy cards online at Hallmark too? 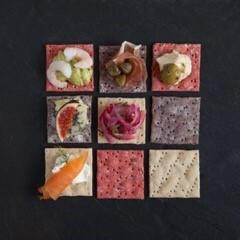 We have recently tried these delicious crackers made from sprouted flour. In three delicious flavours Sprouted Purple Corn, Sprouted Amaranth and Sprouted Amaranth with Beetroot they are perfect for entertaining either with a cheese board or as an entrée. We loved the slightly nutty flavour and they were prefect with our favourite cheese. The Sprouted Genius range is available from Ocado priced £2.99. I don't know about you but I could graze all day long and I am always looking for tempting nibbles to take with me to work. 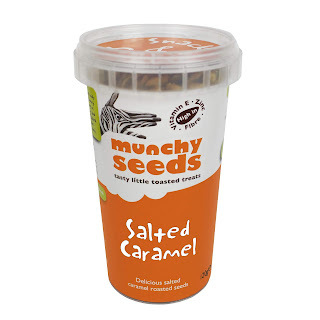 Munchy Seeds have added a new salted caramel flavour to their great range and believe me they are delicious. The roasted pumpkin and sunflower seeds have a hint of sea salt and coconut and of course they are bursting with healthy vitamins. The seeds are also vegan friendly which is great. You can buy Munchy Seeds from Waitrose priced £2.99 for the larger pot or 70p for a handy size packet. 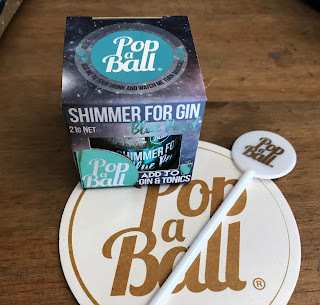 You can now add a little pizzazz to your favourite gin and tonic with the help of Pop a Ball, Blue Pearl Shimmer for Gin. Just add 1/3 of a teaspoon to your drink and watch it bubble and clear to reveal a magical sparkle and pleasant blueberry taste.. It can also be used in prosecco, vodka or anything fizzy. Available from Pop a Ball online priced £7.49. One of my favourite finds this month are the new body mousse from Nivea. 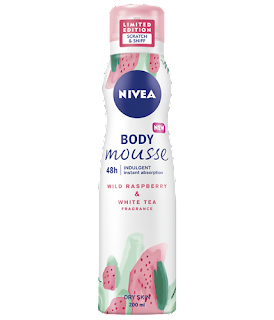 I have loved trying out the Wild Raspberry and White Tea mousse, it leaves your skin soft, moisturised and smelling divine with its fruity, floral fragrance, perfect for summer and dry skin. Priced at £3.99 it is available from leading retailers. That is all for this month but if you would like to join in with my linkie below then I would love to see what you have discovered this month. All comments will be reciprocated and posts shared. I can't believe we are in June either! That's half way through the year - what!! I like the look of those muchy seeds and the salted caramel flavour! Those cards look like a nice selection too.